Here is another of my rejected watercolour backgrounds brought back to life with a layer of the gorgeous Delightfully Detailed Laser Cut paper. 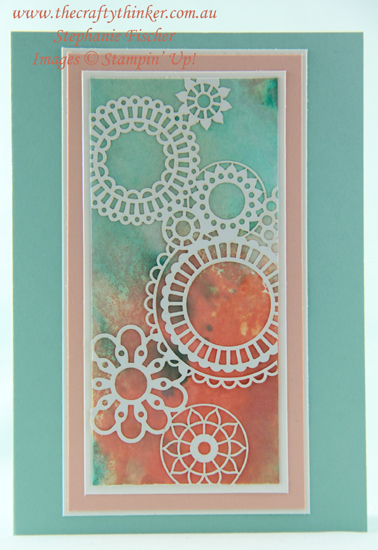 The base card is Pool Party to which I've added layers of Whisper White, the new Petal Pink and finally the Delightfully Detailed Laser cut paper. All of the new products will be available in my online store from Friday 1st June! Yippee!